Collapsing oil prices have a turned a difficult economic situation into a dire one. Oil exports brought in 60% of the country’s revenue. 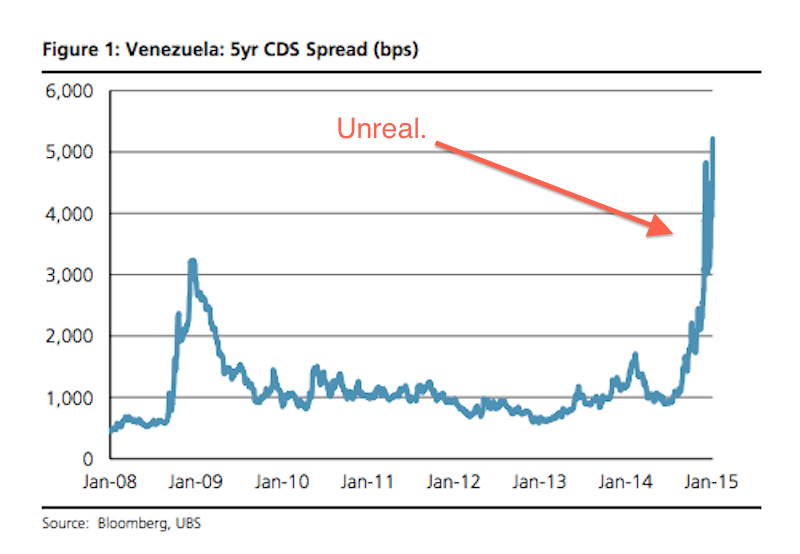 And now, according the UBS, Venezuela has an 82% chance of collapsing within a year. The country will no longer be able to make payments to foreign investors without oil revenue as it was. inflation is running at close to 65%; the fiscal deficit has shot up above 15% of GDP by most estimates; and the black market exchange rate is trading at VEF180 to the dollar, almost 30 times higher than the official Cencoex rate. Wall Street is watching and waiting, which is why the spread on Venezuela’s 5 year credit default swap — basically debt insurance — has spiked. You just don’t see charts like this everyday people. 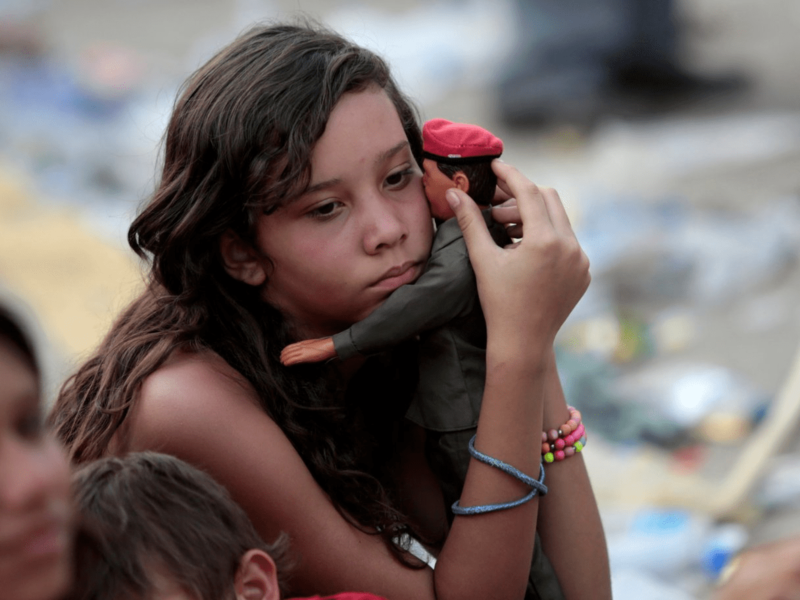 Meanwhile, as foreign investors wait for the day Venezuela calls them and says, ‘sorry, we don’t have the cash’, ordinary Venezuelans suffer. The government cut them loose a while ago, doing nothing to curb rampant inflation (at 60%) and shortages of goods and food. People wait in line for days to enter grocery stores with empty shelves. This entry was posted in Politics, Uncategorized, Venezuela and tagged Inflation, Oil Prices, President Hugo Chavez, Rafael del Fuente, Venezuela, Wall Street on January 15, 2015 by Bone Fish.